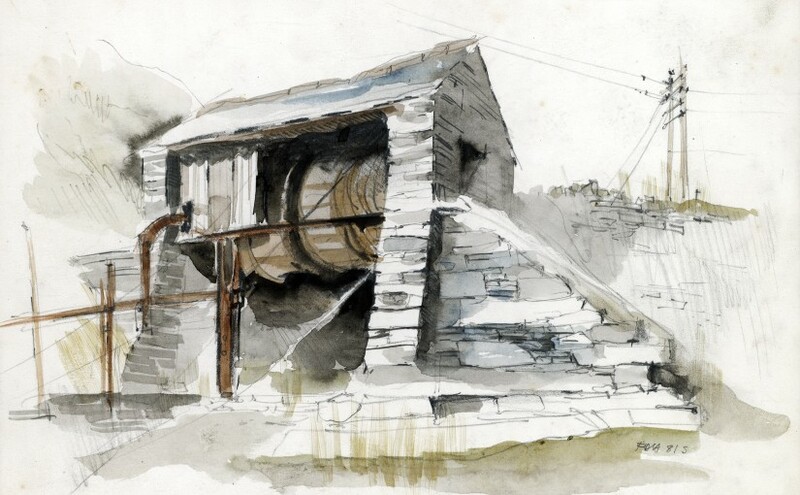 Opening at Kidwelly Industrial Museum on Tuesday, 21 October, and running until Wednesday, 25 November, 2015, Worktown: The Drawings of Falcon Hildred is a panel-based exhibition of the work of Falcon Hildred, the highly accomplished landscape artist from Blaenau Ffestiniog. Since the late 1950s, Falcon Hildred’s mission has been to make a visual record of the buildings of a disappearing industrial culture, which he calls collectively ”worktown”. His meticulous and often highly evocative drawings capture vital information about townscapes, mills, factories, quarries, workers’ houses, libraries, chapels and many other sites and buildings capturing the industrial age in all its grimy vitality. Much of this exhibition relates to the north-Wales slate industry and, in particular, Blaenau Ffestiniog, the artist’s home since 1969 and a place he has recorded extensively. Exhibition images include Two views of Pant-yr-ynn mill, 2007, a mill worked by the Diffwys Casson quarry in 1846, later becoming Falcon’s home and gallery in 1969. Other highlights depicting familiar scenes from Blaenau Ffestiniog include a number of drawings of the Maenofferen, Rhiw-bach and Oakley slate quarries as well as Tŷ Uncorn, one of the oldest surviving domestic buildings associated with the slate industry in the area. This was built about 1810 by Lord Newborough to house workers; it comprises four dwellings clustered around a shared central chimney stack. The exhibition itself forms part of The Falcon Hildred Access and Learning Project, a partnership project between The Royal Commission on the Ancient and Historical Monuments of Wales and the Ironbridge Gorge Museum Trust, who, with support from the Heritage Lottery Fund, acquired over 600 original drawings by Falcon Hildred in 2012. These have all been digitised and are available to access freely on the Royal Commission’s online database www.coflein.gov.uk. 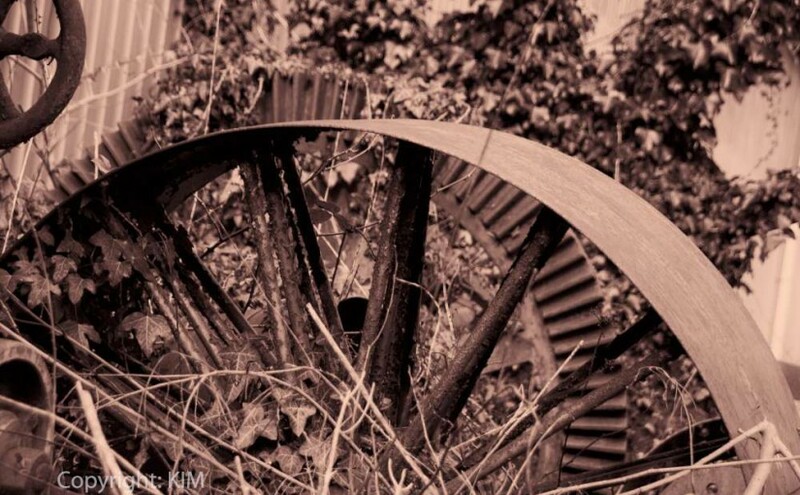 Kidwelly Industrial Museum is open every Friday, Saturday and Sunday from 10.00am to 5.00pm and other times by arrangement via email info@Kidwellyindustrialmuseum.co.uk. A very successful first “Fantastic Day Out” was held at the Kidwelly Industrial Museum on Sunday 13th September 2015. The Museum enjoyed working with the Ferryside Classic Car Club who hosted the entire day. It is hoped to repeat this experience in the near future. Photographs of the day have be uploaded to the site here and to the facebook page very soon. 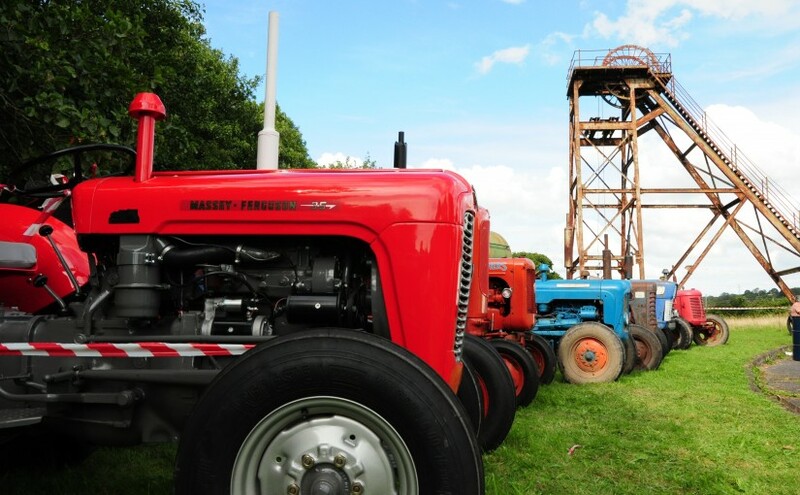 Gates open 10.30 – 4.30, there is FREE entry and parking and a number of attractions including a selection of vintage and classic car, tractors, machinery, displays from “Bygone Days” that you may remember and guided tours. We are on Facebook !!! 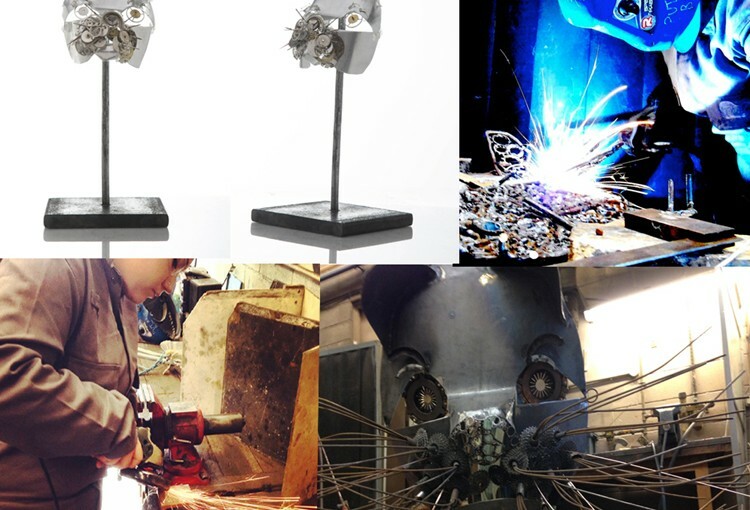 This cat sculpture has been mentioned in an earlier post made by Danielle Jones at the Carmarthen School of Art. Now named Kimmi, the sculpture is a permanent fixture at the museum. It will be displayed next to the reception building for this season and then it will be rehoused during the winter. The museum would like to thank Danielle for donating the sculpture. We have added two new galleries to the website, one illustrates the images taken by regular visitors and tourists and a wedding couple. the second illustrates the dress rehearsal of very sucessful performance of a series of dramas situated at the Museum over a two day period. Do you have photographs you would like to share with us? 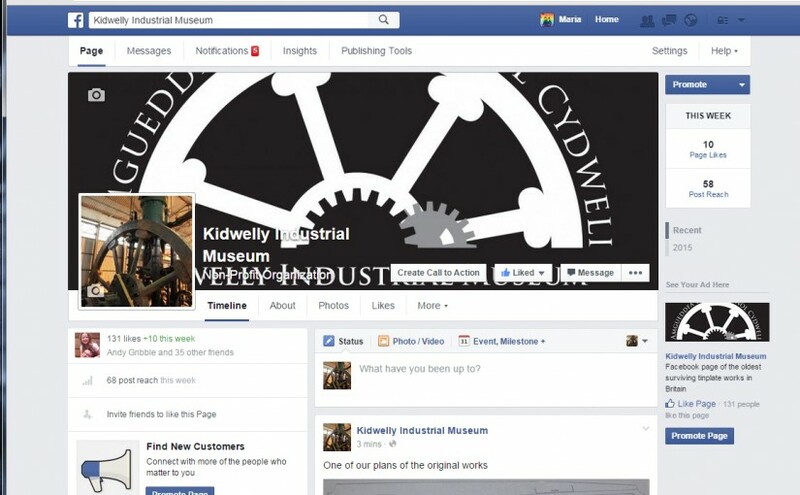 Please contact us at info@kidwellyindustrialmuseum.org.uk to join in. Part of the Forward Plan for the Museum is to encourage new opportunities at the site and in keeping with this; a joint project to look at sculpture in an industrial setting. 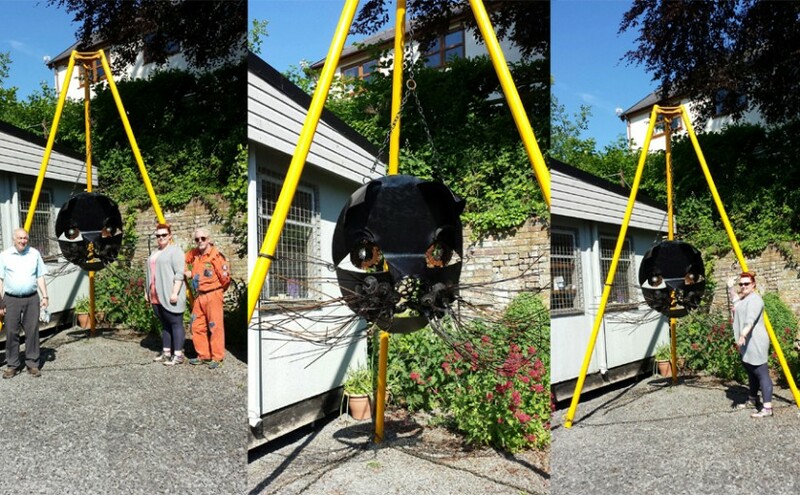 During the next few weeks a sculpture called the “Kidwelly Industrial Cat” by Danielle Jones will be placed on site. 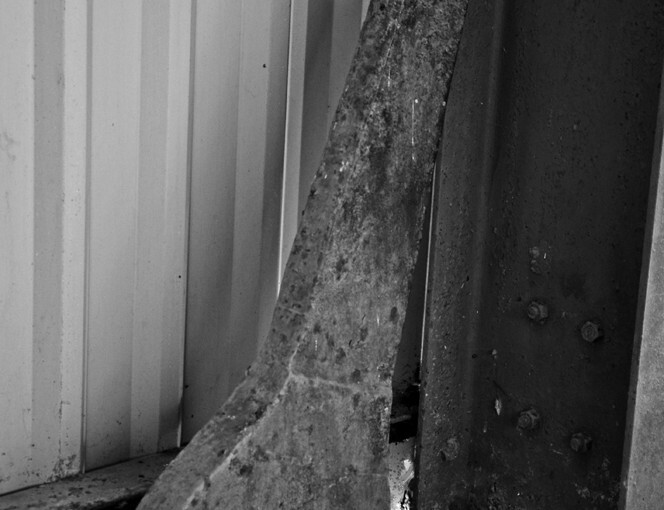 Danielle has written a piece to accompany the the sculpture, it discusses her inspiration and her fabrication techniques. To see her written piece Kidwelly Cat Piece. 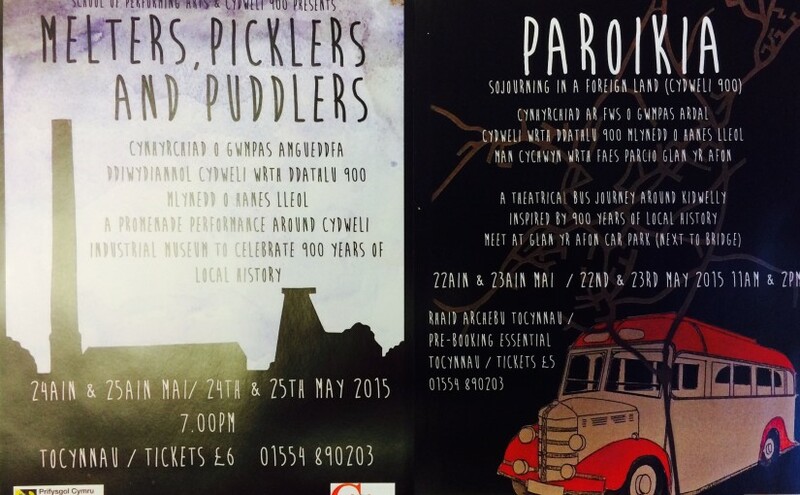 As part of the Kidwelly 900 celebrations, a series of performances reflecting the different histories of the people of both Kidwelly and Mynyddygarreg has been scheduled. 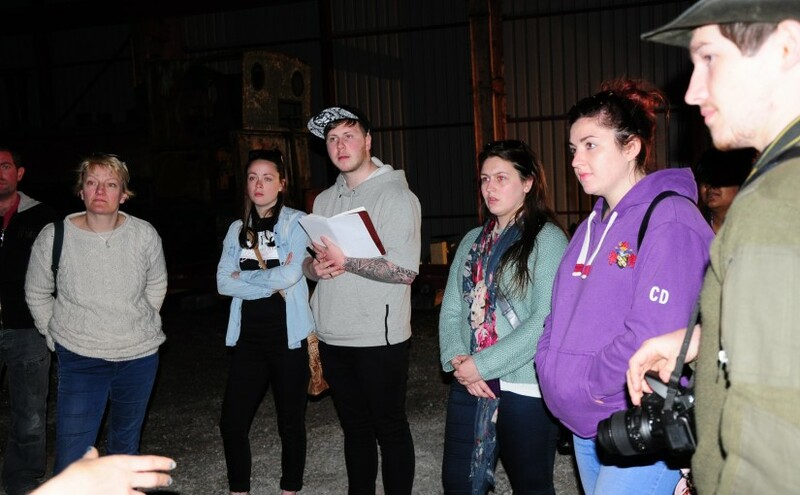 The Museum has been invited to participate in the event and as such two evening performances set in different areas around the site have been arranged for 7pm on the 24th and 25th May. 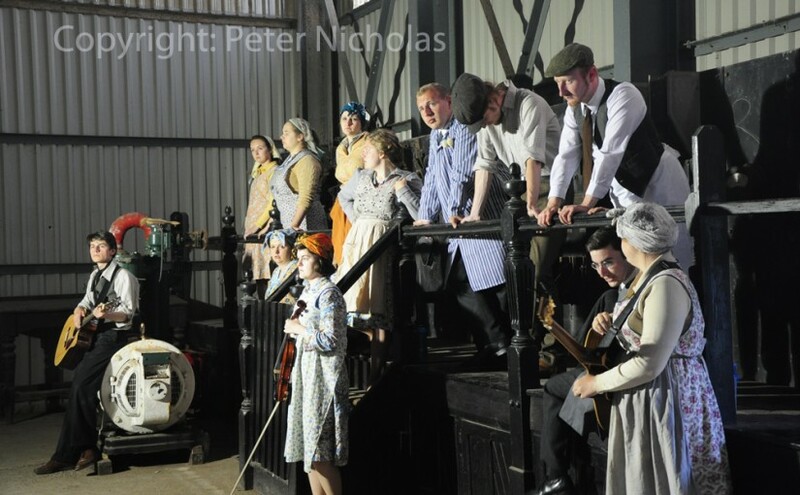 The actors, musicians and theatre technicians, who have spent the last month preparing different acts and pieces at the museum, are all third year students and lecturers from Trinity St. David’s University. The Trustees have enjoyed seeing the way an event like this can enliven the museum in a new and different way. Calling all would be Volunteers !! !